As Chief Executive Officer of Decro Corporation and its affiliated entities, Mr. Handel is responsible for the strategic direction and overall management of the company, pursuit of new housing opportunities, and oversight of a portfolio with 28 developments and over 1,500 housing units in California and Florida. Prior to joining Decro, Mr. Handel had more than 25 years of experience in developing, financing, syndicating, operating, constructing and managing affordable housing developments. 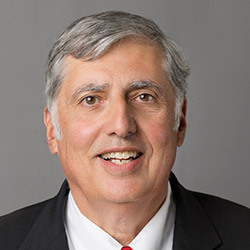 Mr. Handel represented nonprofits and National Equity Fund (NEF) as counsel in affordable housing transactions, formed California nonprofit public benefit corporations, and advised nonprofit Board of Directors on legal compliance issues. At NEF, he closed 57 development deals representing a gross equity investment by this low-income housing tax credit syndicator of $315 million. Mr. Handel is President of The Carter House, Inc., a nonprofit organization that operates a HUD Section 811 housing development in South Los Angeles, and serves on the Board of the Hockey Equipment Lending Program, Inc., a nonprofit that supports disadvantaged youth playing that sport. 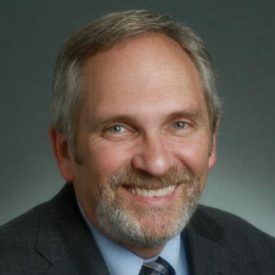 He is the former Chair of Los Angeles Lawyer, a Los Angeles County Bar Association publication, and has been published in that magazine and the Los Angeles Business Journal. 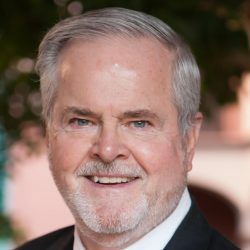 Mr. Handel has been a speaker at the National Association of Housing and Rehabilitation Officers Summer Conference and conferences of Housing California and the Southern California Association of NonProfit Housing. He is admitted to practice law in California and received a Juris Doctor from Loyola Law School (Los Angeles) and a Bachelor of Arts in Journalism from University of Southern California. As Chief Operating Officer for Decro Corporation, Ms. Vandeweghe is responsible for the expansion of Decro’s affordable portfolio and the daily operation of Decro’s pipeline developments, including the coordination of the financing, construction and operation of all new developments, including an affordable, mixed-use, mixed-income development with 50,000 square feet of commercial space and approximately 200 units proposed to be built in Los Angeles. Ms. Vandeweghe comes to Decro Corporation with more than 15 years of experience in complex, mixed-use development transactions. She has entitled more than 4,700 housing units in California and developed more than 1,500 multi-family units in the Los Angeles metropolitan area, including 90 affordable units. Ms. Vandeweghe is a veteran in structuring complex real estate transactions comprised of multi-layered financing using New Market Tax Credits (NMTCs) and Low Income Housing Tax Credits (LIHTCs), and successfully bringing difficult projects to fruition, including Del Mar Station in Pasadena, California and the Wilshire Vermont Station in Los Angeles. Prior to joining Decro, Ms. Vandeweghe was a managing member of a real estate development and asset management firm that handled the entitlements for the 1,100 acre master planned community in unincorporated Imperial County, California, Rancho Los Lagos, comprised of 3,800 housing units, a 100 acre business park, 10 acres of commercial, a 40-acre community park, two schools and an active adult golf community. She was vice president at CityScape Capital Group, LLC, where she managed new market, historic, and energy tax credit portfolios worth more than $100 million, and director of marketing and asset management at Urban Partners, LLC where she oversaw a portfolio of over $1 billion in development in Los Angeles and Seattle. 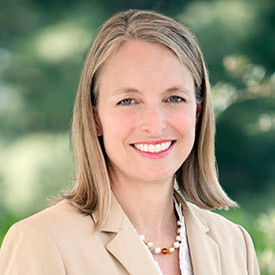 Ms. Vandeweghe holds a Master in Business Administration with an emphasis in real estate from the University of California, Los Angeles Anderson School of Management, a Master in Urban Planning from the University of California, Los Angeles and a Bachelor of Arts from Northwestern University. 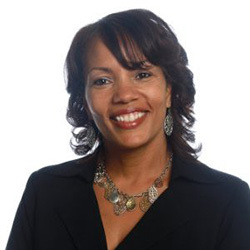 She is a member of the American Planning Association and Urban Land Institute. As Project Manager for Decro Corporation, Mr. Comanor is focused on analyzing new opportunities and managing existing developments. His responsibilities include sourcing and underwriting new projects, while also coordinating the design, debt and equity financing, entitlements, government relations, construction, social services, and community engagement for existing developments. Mr. Comanor is dedicated to supporting Decro’s mission of creating affordable housing for low-income families, seniors and persons with special needs, and promoting capital investment and job opportunities in disadvantaged communities. Mr. Comanor joins Decro Corporation with significant real estate transactional experience and also brings an intense passion of meeting our community’s affordable housing crisis through alternative financing approaches. Prior to joining Decro, Mr. Comanor co-founded Neighborhood Works, a social venture focused on implementing construction and financial innovations in the local affordable housing market. Mr. Comanor also worked at Intrepid Investment Bankers, where he brokered over $300 million in mergers and acquisitions and capital raising transactions. 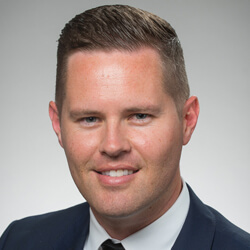 Mr. Comanor is scheduled to receive his Master in Business Administration with an emphasis in real estate and public policy from the University of California, Los Angeles Anderson School of Management in June 2019. He earned a Bachelor of Arts and Bachelor of Science and Business Administration from Washington University in St. Louis. As Accountant and Office Administrator for Decro Corporation, Ms. Lico is responsible for the day-to day operations of all accounting and office activities, including handling accounts payable, accounts receivable and payroll, managing construction accounting, coordinating corporate and project partnership audits and tax returns, arranging insurance coverage, processing project welfare exemption forms, managing human resource matters, along with ensuring efficiency and compliance with nonprofit corporate policies. 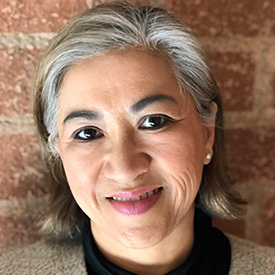 Ms. Lico joins Decro Corporation with more than 20 years of accounting expertise, including over seven years of recent experience with a construction company that employed over 150 people. Prior to Decro, Ms. Lico was a Controller, Accounting Manager and Accountant for various companies where she managed the payroll, human resources and safety departments along with all financial transactions and company insurances. She prepared management reports and various types of tax returns, handled financial and accounting audits, forecasting and budgeting, while effectively streamlining accounting procedures. Ms. Lico holds a Bachelor of Science in Administration and Finance from the University of Phoenix. 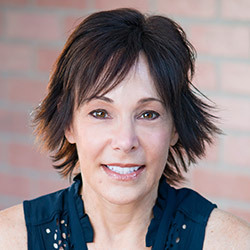 Ms. Blumberg Froman has more than 30 years marketing experience in the real estate industry in corporate, agency and entrepreneurial environments. She currently serves as a long-term marketing consultant, handling corporate marketing, for a fully-integrated real estate firm that delivers affordable and market rate developments across California, and directing the marketing and sales efforts for a privately-held homebuilder with a focus on building small lot developments in the Los Angeles area. Ms. Blumberg Froman holds a Bachelor of Arts in Communications/Sociology from University of California, Los Angeles and is a member of the Los Angeles/Ventura Chapter of the Building Industry Association of Southern California. With more than 15 years experience in real estate development, commercial real estate finance, affordable housing, redevelopment and real estate economics, Mr. von Merkatz is vice president for Wells Fargo’s Community Lending and Investment Group, and responsible for the marketing and origination of construction and permanent financing for multifamily properties with a focus on affordable housing projects. He is experienced at structuring transactions using Low Income Housing Tax Credits, Section 8 and market rate financing. 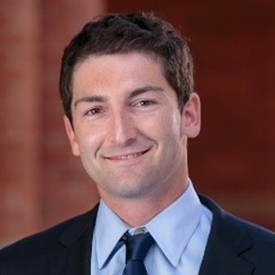 Mr. von Merkatz holds a Master of Science in Real Estate and a Bachelor of Science in Business Administration from University of California, San Diego. Mr. Nweeia is a part-time financial advisor with GBS Financial Corporation and has been a financial advisor for Morgan Stanley and Smith Barney for more than 30 years. He served as Treasurer and Vice President of Finance for Under Sea Industries/SCUBAPRO, a leisure time division of Johnson Worldwide Associates. Mr. Nweeia has a Master in Business Administration and a Bachelor of Science from Babson College. He enjoys reading, hiking, fishing, traveling and volunteering. Mr. Pieroth has more than 18 years experience in general contracting, residential and commercial development and serves as Vice President/Chief Estimator for Walton Construction Inc., a family-owned general contracting company, where he is responsible for providing quantity take-off work, preparing cost estimates and job proposals for multifamily developments ranging in size from 25-310 units. Mr. Pieroth is a graduate of California State University, Fullerton and is OSHA certified. Ms. Lee has more than 16 years of high-level, diversified financial experience and expertise with nonprofit organizations. As Chief Financial Officer/Director of Administrative Services for the South Central Los Angeles Regional Center, Ms. Lee works with senior leadership, finance and operations staff to oversee and enhance the agency’s adherence to general accounting policies, operations and protocols. Most importantly, she is responsible for implementing a long-term strategy for identifying additional resources for agency needs and future projects. She recently served as Chief Financial Officer for My Brother’s Keeper Alliance, where she partnered with the CEO to build the vision, strategy, and operational systems. In addition, she developed and implemented fiscal policies and procedures for the organization. Prior to My Brother’s Keeper Alliance, Ms. Lee served as Chief Financial Officer for St. Anne’s Maternity Home where she oversaw the management and coordination of all reporting activities, including monthly financial statements, investment analysis and fiscal performance reports required by funding agencies. Ms. Lee holds a Bachelor of Science in Business Administration from the University of Phoenix and was featured in the 2016 Making WAVES For Black History Month on Los Angeles radio station 94.7 The WAVE. Mr. Avery is an information technology professional with over 40 years experience in server, disk and tape. 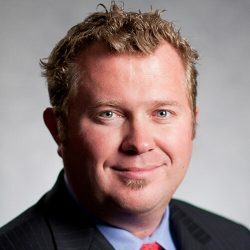 For the past 15 years, Mr. Avery has been editor and publisher of the IT Weekly newsletter, the only curated newsletter aimed at Information Technology. Mr. Avery holds a Bachelor of Science in Electrical Engineering from West Coast University. With more than 10 years expertise with nonprofit organizations in the social services sector, as Senior Program Manager for Corporation for Supportive Housing, Mrs. Rios is responsible for establishing and maintaining partnerships with key funders, community stakeholders, City staff, managed care organizations and nonprofit and for-profit housing developers. She provides training on technical aspects of supportive housing such as financing, operations and service delivery. Mrs. Rios holds a Master of Arts in Urban Sustainability and a Bachelor of Arts in Liberal Studies from Antioch University in Los Angeles. 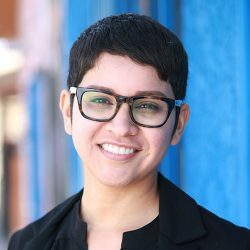 In 2018, she published a policy brief on developing a sustainable workforce in the homeless services sector of Los Angeles County, promoting workforce retention and strengthening the homeless services sector. 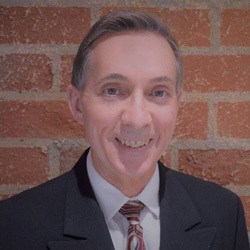 Mr. Wirebaugh has more than 15 years experience in supportive service resources and social service needs for veterans and individuals who are homeless or at risk of homelessness and possibly have severe mental illness. As a Housing Navigator for PATH, Mr. Wirebaugh is responsible for the case management of homeless veterans, including assessing treatment needs, developing, monitoring and evaluating treatment plans, and facilitating interdisciplinary approaches ultimately connecting clients to community resources in order to gain greater levels of social skills. Mr. Wirebaugh holds a Bachelor of Arts in Behavioral Studies from The Master’s University.